**The triumphant return of the New York Times bestselling novel’s orphaned heroine—“**the Southern Holden Caulfield . . . the female Huck Finn” (Bookmarks Magazine). Ellen Foster, fifteen years old, formidable, and back in North Carolina with a loving new foster mother, has written to the president of Harvard, asking for early admission. Having already crammed a lot of tragedy, adversity, and trauma into her young years, surely she’s due something. In the meantime, she’s got a lot on her plate: composing poetry and selling it to classmates; trying to tactfully back away from a marriage proposal from her best friend; administering compassion to a slow-witted neighbor who’s found herself pregnant; and planning ahead for a writing camp for the gifted. 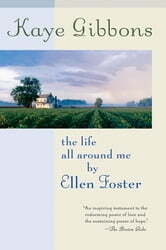 Fueled by an indomitable spirit, undeterred by a naiveté she refuses to acknowledge, and patiently waiting on word from Mr. Derek Bok about her admission to the Ivy League, Ellen is going to continue to cram, while plotting her own deliverance from a town she knows in her heart she’s outgrown. 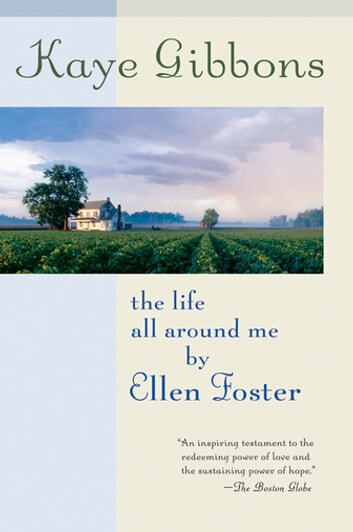 Alice Hoffman, in The New York Times Book Review, said Ellen Foster “may be the most trustworthy character in recent fiction.” After her debut in Kaye Gibbons’s Ellen Foster— awarded the Sue Kaufman Prize from the American Academy of Arts and Letters and a special citation from the Ernest Hemingway Foundation, and chosen for Oprah Winfrey’s book club—Ellen returns in this unforgettable sequel.